How can I optimize my return? 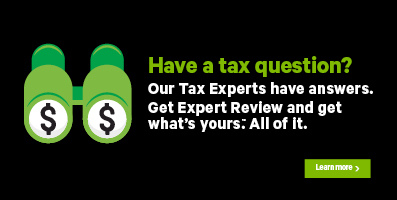 H&R Block’s tax software helps you optimize the information you’ve entered into your tax return, allowing you to lower your taxable income, apply for additional credits, and even split tax credits or transfer them to your spouse (if applicable). You can click the Update Refund or Tax Owing button on any of the following pages under the OPTIMIZATION icon to see how each adjustment impacts your return, in real time. Your RRSP contributions – you’ll be able to see the amount that’s available to be claimed this year and enter the amount you want to claim. Any remaining amount will be carried forward to next year. Québec tax shield credit – if you want Revenu Québec to calculate this credit for you. Québec cooperative investment plan (CIP) deduction – you’ll be able to see the amount that’s available to be claimed this year and enter the amount you want to claim. Any remaining amount will be carried forward to next year. On this page, you’ll see a breakdown of the credits and expenses you’ve entered in your return and those that have been claimed for you automatically. Credits and deductions (such as the basic personal amount, age amount, Canada employment amount, interest paid on your student loan and more) that are claimed automatically for you are based on your specific tax situation and can’t be claimed differently. Other amounts, such as your medical expenses working income tax benefit, public transit expenses, or applicable provincial amounts can be claimed by you or your spouse or common-law partner. On this page, you’ll be able to change who’s claiming these amounts to optimize your return. On this page, you’ll be able to make sure that you’ve claimed all your eligible dependant credits and optimize your dependant’s amounts, including tuition amounts and in certain cases, child care expenses. If your marital status for the year was “married” or “common-law”, we’ll show you a list of credits (such as the disability amount) that can be transferred between you and your spouse or common-law partner. Note: Only the current year’s unused tuition amounts can be transferred. You can’t transfer any unused tuition amounts that you carried forward from a previous year. You must transfer your unused federal and provincial tuition amounts to the same person.0. If you don’t want to transfer your tuition amounts, don’t worry – H&R Block’s tax software will carry forward these amounts so you can claim them in a future year. You’ll see the carry forward amounts on your completed return and on your notice of assessment for the year.